Daniele Stell (we called her Dani) was 18 years old when she was diagnosed with a cancer called Ewing Sarcoma. She had found a lump on her side and after numerous trips to her regular doctor and six months time, she was finally diagnosed. By that time, the cancer had spread to her lungs and she was in a critical state. Her misdiagnosis most likely cost her life. Once Ewing Sarcoma was diagnosed, she was put in the hospital and started an aggressive schedule of treatments, including many rounds of chemotherapy, radiation, numerous surgeries, and a bone marrow transplant. Dani was an active, bright, and social young woman who loved school, dancing, fashion, and friends. She always approached her disease as becoming something she had to fit into her schedule and even made it to her senior prom in the midst of all her scheduled treatments. She used to say “Mom, we were picked for a reason” and she was always determined to beat her disease. She was cancer free for four months and then it came back in her brain. She never gave up and fought hard to live her life as normally as possible, sharing an apartment with her brother, returning to college, and continuing experimental treatments. 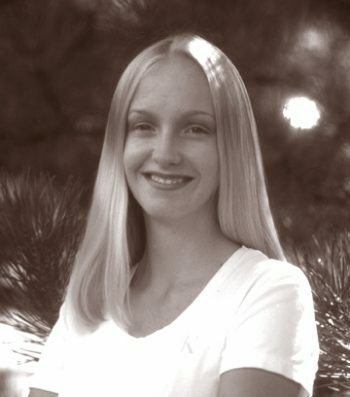 Dani Stell lost her valiant battle with cancer in April of 1999. She was 19 ½ years old. During her 16 months of treatment, Dani showed her courage, humor, and energy and she became an example of strength to her friends and family. We still think of Dani everyday and about the teens and young adults who are being diagnosed DAILY with Ewing Sarcoma. Dani’s Foundation was formed after her death, and is dedicated to helping find a cure for this deadly disease and to help families dealing with cancer.